We'll have more Thursday, but make plans to visit the new "Experience Oregon" exhibit — three years in the making — at the Oregon Historical Society, 1200 S.W. Park Ave. It's a 7,000-square-foot exhibit that teaches about people, places and events that have shaped the state, through artifacts, photos and more. It's set to open Thursday, Feb. 14 — the state's 160th birthday. There'll be a blessing led by members of the Confederated Tribes of the Grande Ronde at 11 a.m., and a ribbon-cutting ceremony at noon. "'Experience Oregon' is very aptly named," says Kerry Tymchuk, executive director of the Oregon Historical Society. 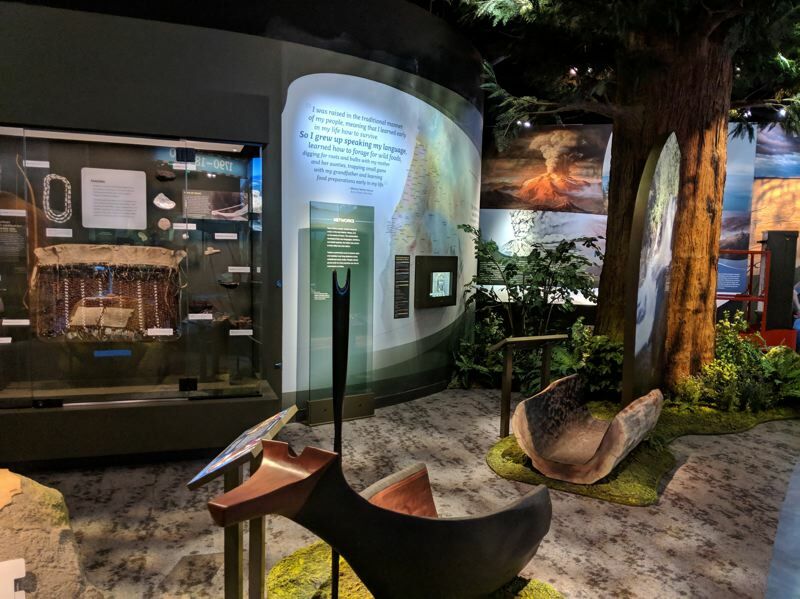 "It is a state-of-the-art, immersive experience that brings to life the remarkable and dramatic history of Oregon and those who have called it home." The origin of manga has been explored with an exhibition. Now there's something a bit older. "Ice and Stone: Suiseki Viewing Stones" shows at the Portland Japanese Garden, 611 N.W. Kingston Ave., from Feb. 9-24. Suiseki is the Japanese art of stone appreciation. Centuries-old viewing stones are valued for their distinctive shapes, colors and textures. Traditionally, they are placed on a fine bed of sand in shallow bronze or ceramic trays to create distillations of nature enjoyed outdoors. The stones are paired with black and white photography of rugged Hokkaido landscapes by Northwest photographer Michael Kenna to commemorate the 60th anniversary of the sister city relationship between Portland and Sapporo, Japan. If you watch "Who Wants to Be a Millionaire" and local TV, you'll recognize one of the show's players Monday, Feb. 18. Steve Dunn, an anchor on KATU (2), is one of six broadcasters playing for $1 million for a favorite charity of his choice during "Play It Forward Week." He'll be playing for Meals on Wheels. Shows air at 2 and 2:30 p.m.
Oregon Public Broadcasting will screen a new documentary that traces the early history and contributions of African-Americans in the state, from fur trappers and explorers to farmers and merchants, all working under the cloud of discrimination. The 30-minute show airs on OPB and online at 9 p.m. Feb. 25. The film is narrated by musician/educator Darrell Grant. It was written and produced by Kami Horton. For more: www.opb.org/blackpioneers. There'll also be screening events, including 7 p.m. Feb. 20 at the Oregon Historical Society.